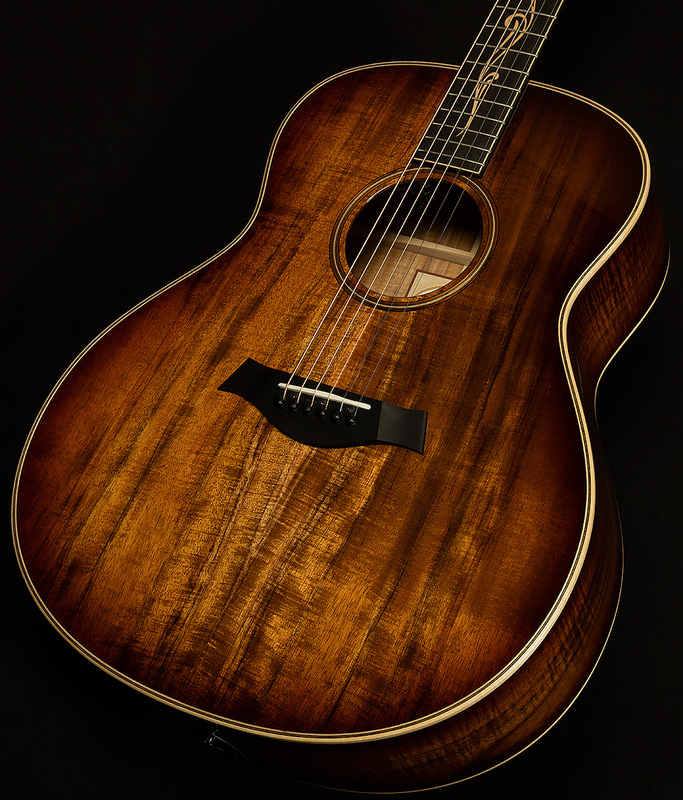 Taylor's Grand Orchestra models are famous for their rich, lush voices, their incredible volume and projection, and their surprising responsiveness (hey, it's not every day you find a guitar this big that will accommodate fingerstyle players!). 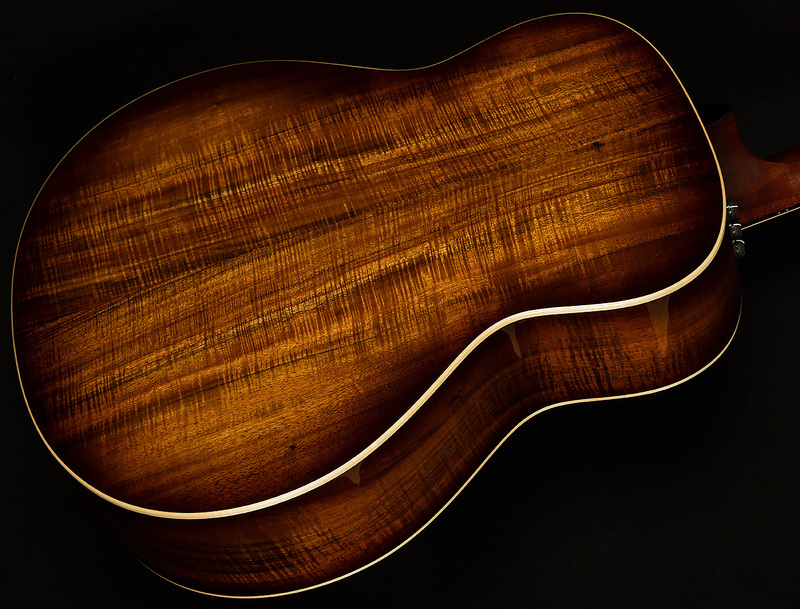 Their Koa series guitars are also known for their warmth, sustain, and inimitable brand of high-end sweetness. When you put them together, you get a positively intoxicating sonic cocktail called the K28e. While many large-bodied acoustic guitars can have boomy, overwhelming low-end, the K28e bucks the trend. You certainly get strong bass response, but it's quite round and well-mannered. By and large, jumbo guitars are not known for their midrange, either. 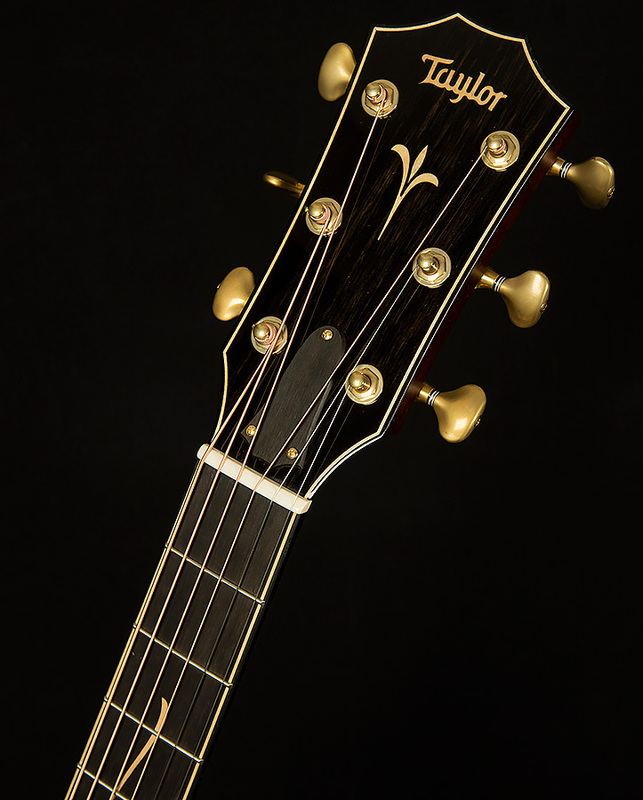 Again, the Taylor K28e bucks the trend. It produces a strong fundamental in the mids, and each notes rings out with exceptional warmth. It sounds sort of like mahogany, but with a couple extra cups of sugar added in. The K28e also has glorious high-end response. High notes sing out with sweetness, and they sparkle with impeccable clarity. It's also worth noting that (like all koa guitars) the K28e will mature and sound better and better the more you play it. The midrange will begin to fill out and produce more and more warm, glowing overtones, and the highs will open up and become as spacious as the Colorado sky. 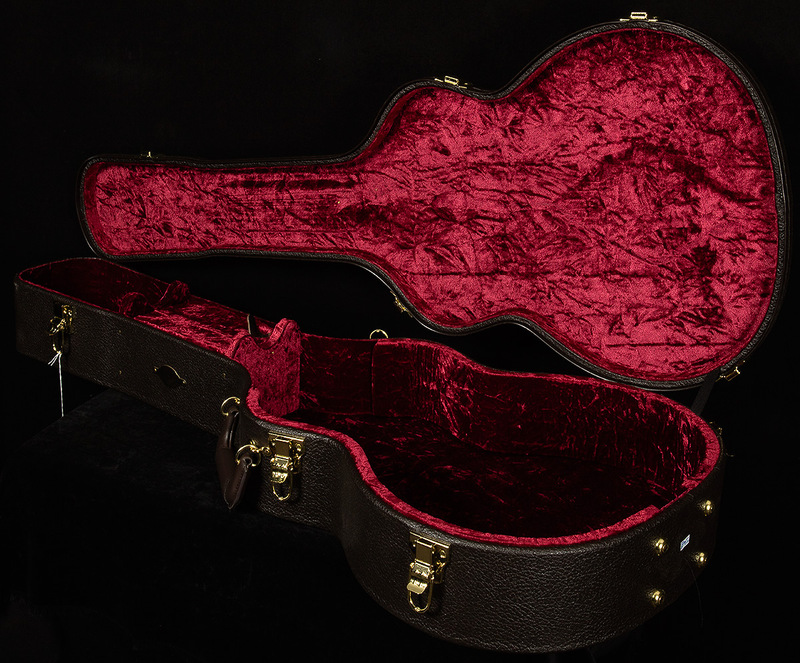 Though the K28e is a killer guitar now, it will sound bewitching enough to make a good man turn bad in twenty years! Of course, all of Taylor's classic K-Series cosmetic appointments are present, too. Ebony binding, maple top trim, spring vine inlays, and a maple rosette give it a killer all-wood aesthetic. 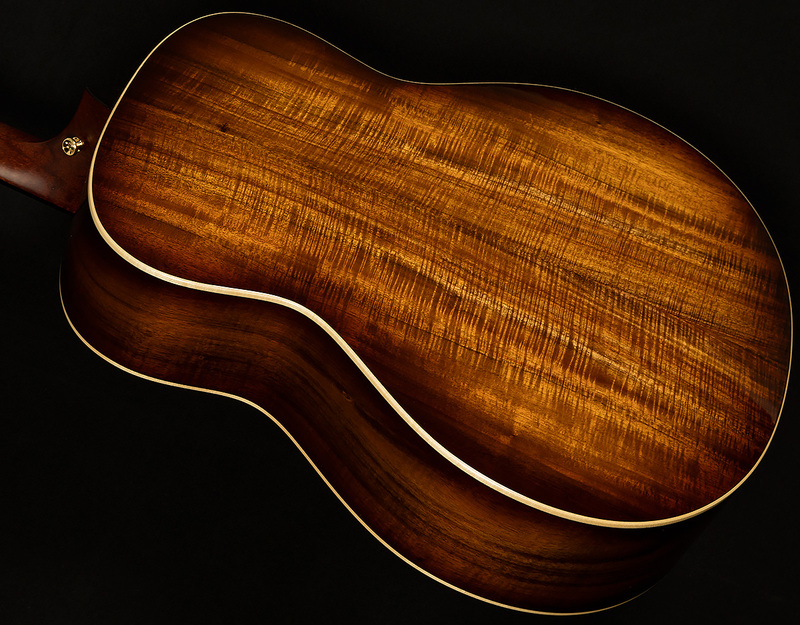 The shaded edgeburst top is easy on the eyes, too, and it highlights the koa's grain perfectly. And, when you take the K28e to the gig in order to show it off, you can rest assured knowing that you'll get crystalline sound from Taylor's ES-2 pickup system. We're proud to showcase such an inspiring instrument for our exceptional customers. We know that its mellifluous voice will inspire you to reach new heights on your fretboard adventures.